Posted originally on: September 25, 2017 by	James. Last modified: April 21 2019. There are comments. Internet: Fast in some places. 800Mbps max; 4G everywhere. When I say to someone I’m working from a place called Kuching, I get a blank expression. Or if I say Sarawak, they’ve never heard of it. But when I say Borneo, they always say the same thing – “Wow“. 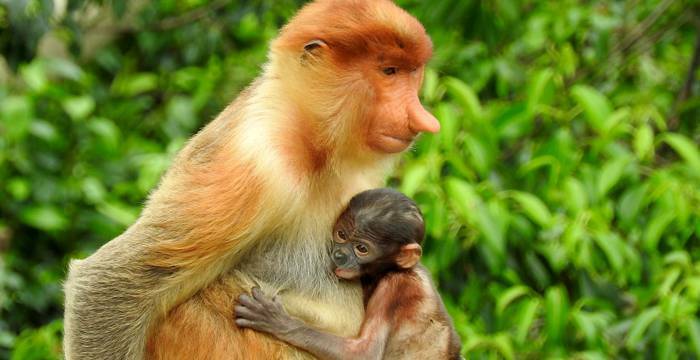 Borneo is one of those place names that conjures up ideas of an exotic tropical paradise, a land of rainforest adventures, and orangutans on every corner; but most people really know nothing about it. So to start with some education – Kuching is the capital city of the state of Sarawak. The states of Sarawak, Sabah (capital city Kota Kinabalu) and Labuan make up East Malaysia (or Malaysian Borneo). To the south of Malaysian Borneo is Indonesian Borneo, which is called Kalimantan, and all together this makes Borneo the worlds third largest island (and three times the size of the UK). Yes, it’s bloody massive. Kuching has got tons of history to go with its size. Archaeologists have found human remains that show the indigenous tribes of Sarawak have been present on the island for 37,000 years, and tribes today still make up the largest segment of the population. Although they do a lot less headhunting than they used too. 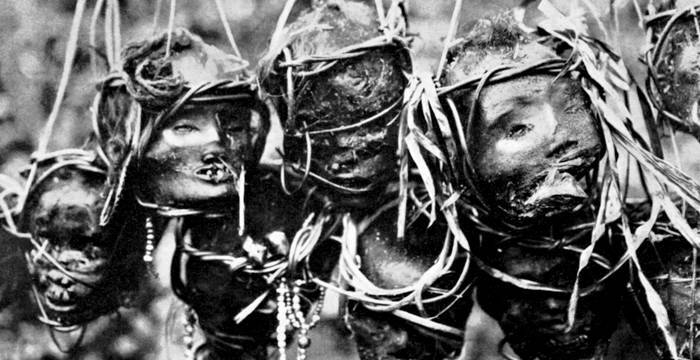 In the 1840’s the British turned up, putting a stop to the headhunting (well, nearly all) and making Kuching a key trading route. Since then the city has been moulded by Sarawakians, Malays, Chinese, Punjab, Japanese, and British visitors. Kuching is a really diverse place, and probably not what you would expect from Malaysia, or Borneo, or maybe even Asia. Malaysia is a Muslim country, but Sarawak is the only Malaysian state where the largest religion is Christianity, and Buddhism also has a large presence here. Because of this diversity and tolerance, Kuching has got a big city vibe, but its peaceful, and everything is reachable in 30 minutes; the most commonly spoken language is English, yet as a foreigner you are very much a novelty; its steeped in history with colonial heritage buildings alongside traditional Chinese shops and temples and India Street, and yet it is looking to the future with a small, but thriving entrepreneurial and startup scene. I love that! In 2015 its first coworking space opened, and in August 2017, a second space opened, with a third now open, and even more are coming. 4G signal is strong everywhere and cheap to access, the government has committed to deliver superfast internet to the whole region, fibre is now available to many homes, and you can even tap in to free Wi-Fi along the main tourist area – The Waterfront. 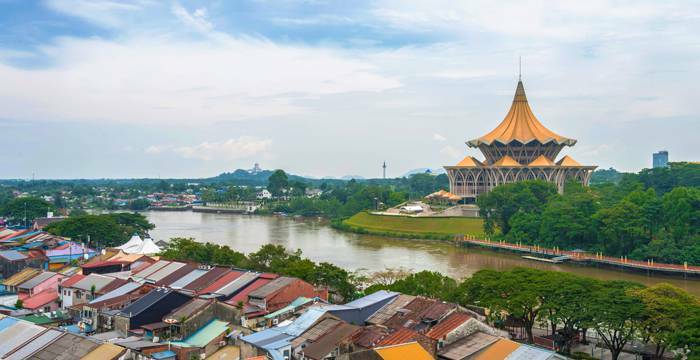 The Malaysian government is pushing digital initiatives across the country, and Sarawak plays a large part in this plan, so right now, this is day one for the digital age of Kuching. Kuching properly got on my radar when I read a blog by Freedom Surfer that called Kuching “the next Chiang Mai” so on a whim I came to check it out. Since then I’ve been back four times. Is Kuching the next Chiang Mai? Maybe. It’s certainly got some parallels; an easy chilled out authentic vibe with an undercurrent of hipster if you know where to look, mixed with the modern luxuries and all at great value. But it really depends on what you want from a city. If you want an easy quiet life, a relatively affordable cost of living, surrounded by miles of lush amazing nature, a place to focus and get stuff done, Kuching is a great choice. Wild proboscis monkeys at Bako National Park. Amazing. The best way to get to Kuching is to get to Kuching Airport (KCH). There are lots of flights every day from Kuala Lumpur, from carriers like AirAsia and Malindo and others. There are direct flights from most of Malaysia and also Singapore. 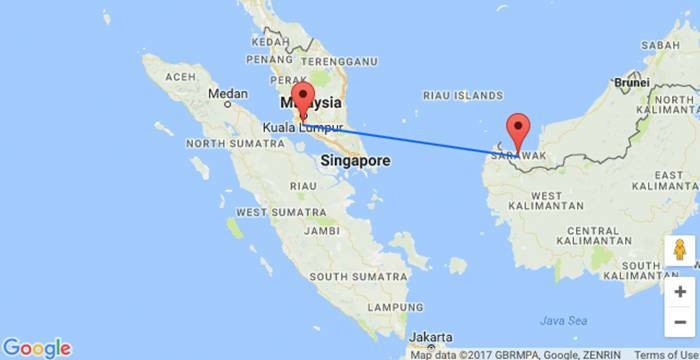 Kuching is the 3rd biggest Malaysian hub, and flights internally from KL are normally very cheap – use Kiwi to find the cheapest flights. Kuching Airport is small – so clearing customs takes 10 minutes, and bags appear in 10 minutes, and then you’re out on in to Arrivals. The city centre is just a 15-20 minutes drive from there. In the Airport, you can buy yourself a SIM card to save you any hassle later or use the free airport WiFi to order yourself a taxi. As of April 2018, Uber is no longer operating in Kuching (or most of Southeast Asia). Instead, use Grab – which is almost identical. You can use my invite link to get free credit so download the app now and add your credit card (or pay cash when you take a journey). A Grab to the centre of town costs around 12 MYR (£2/$3) and takes around 15-20 minutes. There are local taxis available at the airport and also airport taxis – but the minimum price is 30 MYR to anywhere (£5/$7) so just don’t bother with them. There used to be a ferry from Malaysia peninsular to Kuching, but no more. There is a ferry from Jakarta to Kalimantan (Indonesian Borneo), but the schedule is not that easy to understand, conditions are poor, and the port in Kalimantan is 1-2 days drive from Kuching. Getting to and from other cities around Kuching, like Sibu, Miri, Labuan, Brunei, even a majority of locals fly between them as the distances are so great. So your only real option to get to Kuching is by flight. A majority of people reading this blog who want to visit Malaysia can go “visa free” and get a 90 days Malaysian entry stamp on arrival. This includes US, UK, and Europe. You should have no need to show onward travel. Sarawak is part of Malaysia, but has its own rules and immigration from the mainland. This means you will have to get additional stamps in your passport just for your visit to Borneo, but the immigration process is swift and they talk you through whatever is needed. To get a new visa, you just leave and stay out for a few days and come back. Easiest trip is Singapore – direct flights from Kuching to Singapore leave daily and cost about 300 MYR return. Otherwise, if you have a Chinese visa, can fly to Shenzhen direct too. Else, go via KL and you can go anywhere. It is possible to extend your visa locally without needing to leave although I’ve never done this. 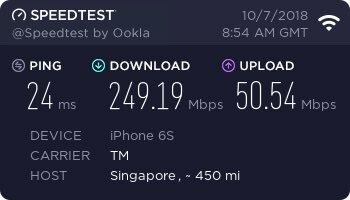 Apparently this can be done for 50 MYR (£10/$12) per month up to 3 months. There is a guide to it here – let me know if you get it done! Unlike places like Thailand or Philippines where there is definable wet/dry seasons, Kuching has rain pretty much everyday. Yes, everyday! It’s a tropical rainforest for a reason! Locals say that if it doesn’t rain early in the morning, its pretty much guaranteed to rain later in the evening. But when its regularly 90% humidity, and with temperatures nearly constantly over 30 degrees centigrade, the rain really really takes the edge off. And Malaysians are prepared for it, so it’s not like Bangkok where streets flood – Kuching has drainage, covered areas, proper roads and its a car-led culture. Plus just 30-60 minutes later, everything is dry again. The main area for tourists in Kuching is The Waterfront, an area along the river, and parallel to this, the Main Bazaar and Carpenter Street. This whole area has a few backpacker-style hostels and some boutique hotels, as well as the main area for bars and tourist-aimed restaurants. The next main area is Padungan Street (China Town), a little bit away from the main town, but its a lively little street with some awesome food and accommodation options – a lot cheaper than the tourist places but also a bit seedier. 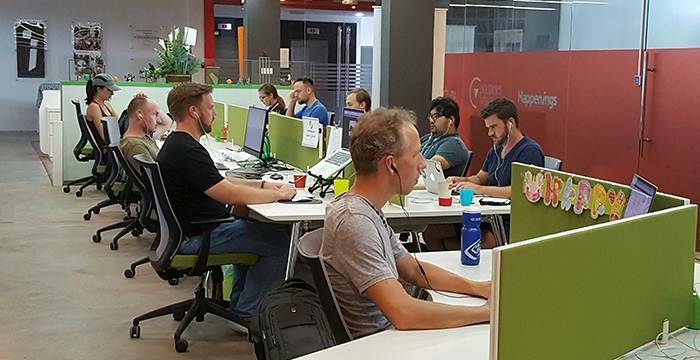 If you want to get deep in to coworking, and want more of a business-vibe, try and get yourself near iCom Square – where iCube Innovation and TEGAS coworking is located. But be warned there isn’t much around iCom Square so depends on your priorities. If you want to be further outside of town, position yourself near to one of the many malls. Just like Kuala Lumpur, Kuching is very much a mall town – oasis’s of air conditioning and a mixture of shops and food courts. The popular ones are Viva City Mega Mall, CityONE, and The Spring. Viva City has a ton of condos on top of it, and this is probably one of the best choices if you want to cook for yourself (there’s a good supermarket) or do a workout (a 24/7 gym). There is no expat neighbourhood in Kuching (that I have found anyway!). The BDC and Hui Sing areas of Kuching seem to have some of the best houses and apartments, as well as the safest areas, and easy access to the city, so if it develops, it will probably be around there. A decent hotel seems to run around 150 MYR (£28/$35) per night in Kuching which is OK for a few days, but not ideal for longer term living. Unfortunately, there isn’t much in-between a one night stay somewhere and signing a one year lease – apart from AirBNB or lots of searching and haggling. This makes places like Thailand so much easier to live with a lot more choice when you only want to stay a month or two (check out my Chiang Mai accommodation post). There are plenty of listings on AirBNB but the quality is generally quite low. I would haggle hard – and I would try to hire large places and only use parts of it, or club together with friends in one place if you like that kind of thing. I’ve managed to be offered 20% to 70% discounts on places before, just by trying to book last minute, or telling hosts my budget is low. There are discounts to be found, and the Padungan area is probably a good place to start. I’ve met a few people coming through Kuching who have found monthly deals there for 400MYR (£80/$100) per month! I’m not saying these places are palaces, but if you want to live cheap then its certainly possible. Here’s some general recommendations, split out by area, of places you can stay for a single night, and maybe more if you can cut a good deal with the hotel directly. Like other Asian countries, in-person cash deals get the best prices, not internet prices. 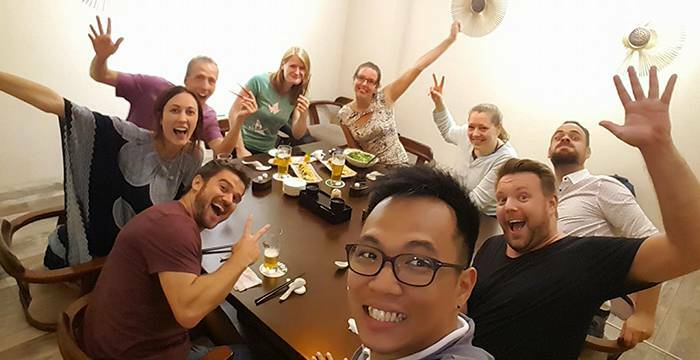 Kai Joo Apartments – My top pick of places to stay; the owner understands the needs of a digital nomad so has great internet, and his cafe downstairs (Kai Joo Cafe) serves great coffee. Can do deals on longer stays where possible. Search Airbnb for “Kai Joo”. M Hotels – Old, but has gym and pool. 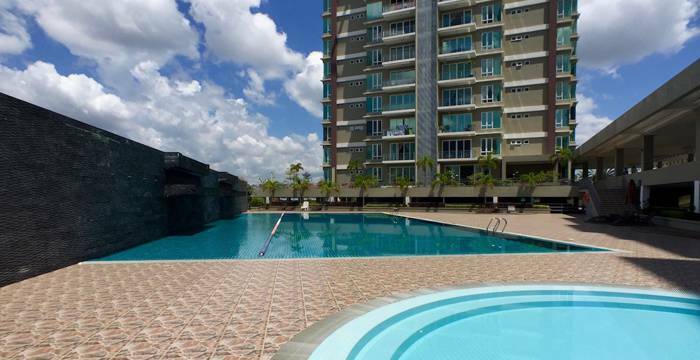 Serviced 1 bed apts in Tower B for 3500 MYR pm. Viva City Apartments – Above Viva City mall, about 10 mins ride out of town, but Viva has 24/7 gym and lots of shops. There is a ton of apartments here. All new and most nicely decorated. Expect to pay £500 plus a month. Search Airbnb for “Viva City”. And of course there is AirBNB. Use this link to get money of your stay with AirBNB. Remember that Kuching is small, and Grab (taxi) is cheap, so it doesn’t matter if your place is a few miles from the Waterfront – the minimum fare is 5 MYR (£1) and gets you across town, and going all the way to town from the airport is maximum 15 MYR (£3). If you’re looking at renting a place and want some feedback on it, post in the comments the name/link and I’ll check it out for you. Accommodation is generally expensive in Malaysia – too many foreign investors, too many crappy buildings, just not enough places being built. The places being built are also nearly always 2 and 3 bedroom places – so there is virtually no studio or 1 bedroom places. No idea why. The accommodation to wage ratio is ridiculous – I think I worked out the average worker here would have to work nearly 40 years to buy a place. Kuching is not much different, but relative bargains can still be had when compared with some western rents. Property agents tend to take 1 months rent as payment, so the owners like long leases. I have only seen lease terms for 1 year, however if you find an owner direct, maybe a shorter lease could be possible. Bare in mind, things like fibre internet have a 2(!) year contract, and although the early cancellation fee is minimal (500 MYR – £90/$100) it’s yet another cost. A 1 year lease requires 2 months deposit plus the first months rent, plus deposits for utilities, all up front. Ouch! Property is really lacking in Kuching, and is maybe a key element in holding Kuching back to experience fast growth. There are new condos being built, but mostly out of town, which means a 15-30 minute commute on a good day in to town. Pretty bizarre town planning… but this is Asia. 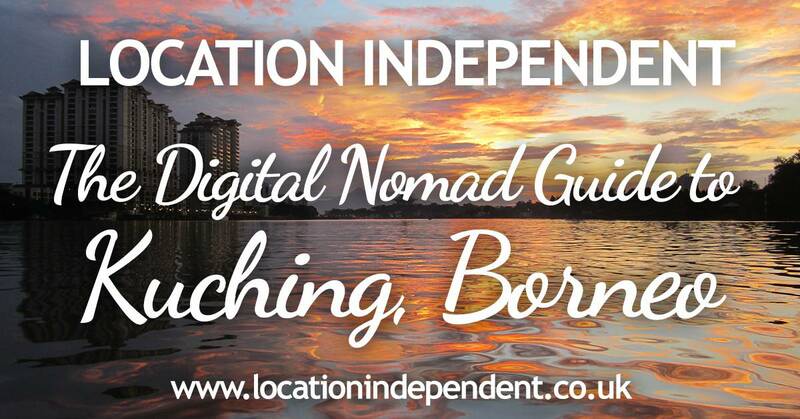 Check out my article on how to find accommodation as a digital nomad for a lot of tips on how I find places to live! Short term – check out Booking.com or AirBNB. Its rare to find decent apartments blocks near the Waterfront, so you’ll be further out of town (still only 15-20 minutes from centre though). Just FYI, the MJC / Batu Kawa area pops up a lot in property listings – but it’s far out of town and plagued with bad traffic so takes ages to get there. If that doesn’t phase you there is a lot of accommodation there and its pretty cheap (1,000 MYR per month for an apartment with pool). If you are on a scooter, it could work! The internet speed in Kuching has recently got a big upgrade, and competition in the fibre market is lowering prices. You can get up to 800Mbps speed which is crazy. I’ve got amazing internet + TV in my apartment for 150MYR a month. Proclaimed to be 10,000 sq. ft of co-working space, however its mainly focused around an informal plastic chair and table area (“premium” access) and then “elite access” workstation area with decent chairs and desks. Most of the space there is long term office rents. There are some rooms that can be used for calls if they are unoccupied, plus large conference room space, and a small kitchen area. Internet speed is OK, they have 150Mbps fibre, but they seem to restrict bandwidth per user so everyone has the same amount (about 5/10Mbps) I explained that didn’t make sense, but at the moment they are sticking with it. If you want to check it out with no obligation, the 1st Thursday of every month is free coworking day. If not, a day pass is 15 MYR (£3/$4). There’s no 24/7 access, but they unofficially open late until about 10.30pm most nights and you can (apparently) book in advance for them to open on weekends for the same price as a day pass (15 MYR) which isn’t that bad. A massive coworking space in an old industrial unit on a massive industrial estate. Run by MaGIC (Malaysian Global Innovation & Creativity Centre), which is a Malaysian government supported project, Borneo744 is the first “Blue Ocean Entrepreneurship” in Malaysia. I have no idea what that means, but it means the place has had a ton of money spent on it. MaGIC was free to use for about 6 months after opening, so that has helped it attract a few startups, working on various projects from Internet of Things gadgets, to buzzfeed-style blogs, to food delivery businesses. This is where the core of the startup/coworking community is and hangs out. They recently opened a food court next to the coworking space with hipster/instagram-focused styling, but as its so far out of town, it quickly closed down. So make sure you take food with you. MaGIC at Borneo744 is about 15 minutes out from the town centre on an industrial estate, but this does mean its massive and there’s lot of free parking. Getting a Grab pick up there can be a challenge sometimes (and practically impossible if you stay late at night) and I wouldn’t recommend the walk. A Sarawak government initiative situated directly below iCube Innovation. This is a light and airy space, with some private couch booths to work in, some nice tables as well as standing desks. 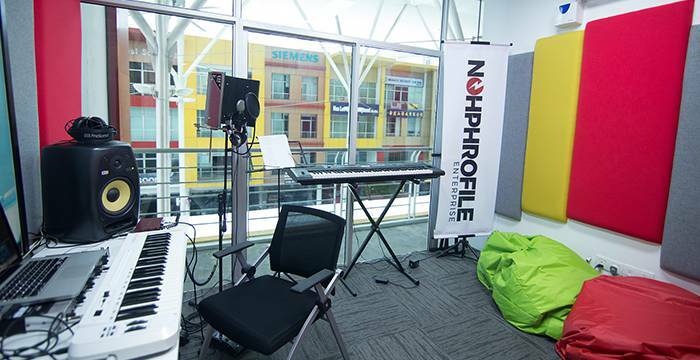 They have a 3D printer available, as well as recording studio for music and podcasts. Internet is good, staff are nice, but layout is more suited to events. Because of that, often the whole space has an event in it which means it’s impossible to work from there. Opened December 2017 located at One Jaya Mall in the Jalan Song shopping area. Claims to have high speed fibre internet, 3D printing lab, Makers Lab, Training Area, Robotics courses, Virtual Reality (VR) studio, and Creative Studio. It seems to be aimed at kids at the moment, so I’ll watch what happens and report back. Opened October 2018, a new space on the north of the river! With a focus on meeting rooms and events, the space has a nursery and education space below it, so perfect for those parents looking to offload their little ones and get some work done. Opened September 2018, this coworking space is subtitled “the experiment” – I haven’t checked it out yet, but it looks like a small shared office space. It’s out of town, but above a great noodle shop! A new space is opening right in the centre of town in the former Hills Shopping Centre. Now just called “The Hills” they look to be chasing a WeWork/Commons-style market and are opening soon with coworking / office space. In the same building they have a new food court, plus a bouldering/wall climbing studio. Sounds like a great place to work! But we’ll see! The Digital Village project is underway and expected to be completed by Summer 2020. This is a massive government project designed to be the main digital hub for Sarawak. 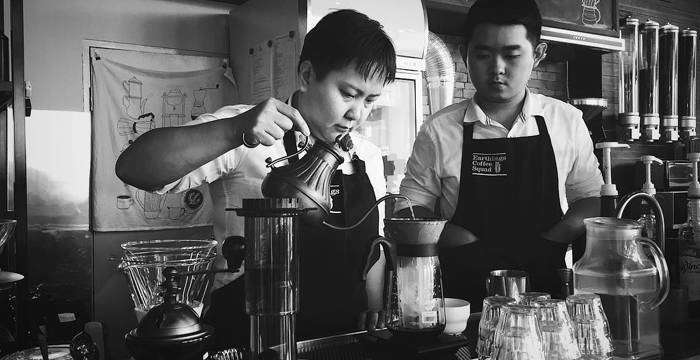 There are quite a few cafes to work from around Kuching. Kirk from Zomia has put together an awesome (and lengthy!) list of his favourite places to work, so that is definitely worth checking out. Also, always a good reminder that mobile phone data is cheap – on top of your standard phone plan you can pay 3 MYR (£0.6/$0.70) for 1GB of data any day you want with Maxis (more below). This means that any cafe can be a great coworking spot! 4G speeds are good – around 50Mbps up and down. Like the rest of Asia, rice, noodles and soups play a large part in most basic meals. Unlike Thailand, I find it easier to order exactly what I want in Malaysia (better English skills), and the ingredients seem to be simpler, which means they are easier to separate or to eat what you want (yes I’m picky). If you want to eat like an everyday Kuching-ite, head for a food court, where people come together to eat, drink and chat. Food there is typically around 5 MYR (£0.90 / $1.20) per dish, with a drink around 2 MYR (£0.40 / $0.50). They tend to have lots of cuisines under one roof – rice, noodles, soups, Chinese, Malaysian, Thai, Halal, buffet (nasi campur), Indian, fried chicken, nasi lemak, laksa, satay, steamed buns, dim sums… And whats more a lot of food courts are normally open 24 hours. Some of the most well-known food courts are Chopstick Garden at iCom Square, Siang Siang at 3rd Mile and other locations, and Top Spot Hawker Centre. Top Spot Hawker Centre is an immense open-air food court on the roof of a car park near the waterfront, focused around seafood. With room for around 500 people, you can order from neon-lit seafood stalls, showing off live crabs, prawns, razor clams, wriggling squid, grouper, pomfret and parrot fish. To eat like a Sarawakian, head to Le Pau restaurant or the.Dyak for a truly authentic Sarawak experience, serving a mixture of traditional dayak foods. Order random dishes, listen to the plinky-plonky music, ask for some off-menu alcohol and soak up some Borneo culture. To eat like a Dayak, you need to experience Rumah Asap, which is a covered food court a little out of town. The focus is on amazing BBQ food, so a lot of roasted pork, BBQ fish, and other dishes. They have music and beer and the atmosphere is great. It’s smokey, loud and I love it! 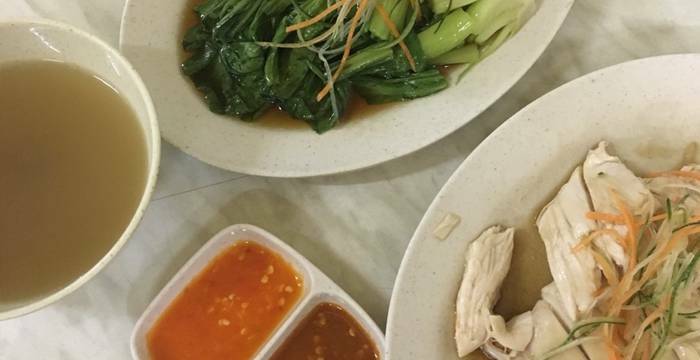 A general favourite dish of mine in Malaysia is Hainanese Chicken-Rice (a breast/leg of chicken served with rice – boiled in a stock – served with a spicy sauce and soup). This dish is amazingly simple and tasty, and is normally just 5 MYR (£0.90 / $1.20). The chicken rice in Kuching is the best I’ve ever had. You can double up the chicken or add a plate of fresh greens for another 5 MYR (£0.90 / $1.20), sorted. Other dishes you should definitely try are: Kampua Mee, Kolo Mee, Mee Pok, Kueh Chap (pork parts with flat noodles), dim sums (especially the local “sio bee”). Theres a small amount of vegetarian options, that’s not really a thing here yet. Definitely check out Indah House for one of the few vegan menus I’ve found (and also check Happy Cow). Also check this Vegetarian Facebook group. For health foods, there are a few small independent stores selling lots of different stuff – Apple Cider Vinegar, Chia Seeds, supplements, protein etc are all available – and most of the large supermarkets stock organic/gluten-free/etc brands – Everrise in basement of VivaCity is probably best. For fresh vegetables and fruit, you can’t beat a trip to Satok Weekend Market to buy direct from farmers. This is a big weekend market, from Friday night until Sunday night. Go in the morning/early afternoon on Saturday for the freshest produce. For fresh fish, the Petanak Wet Market sells seafood from early in the morning, and you can often grab some on a few stalls in the evening too. If you’ve been a nomad for a while you’ve probably been to Penang, which most people consider a foodies paradise. I think the food in Kuching is better than Penang. There, I said it. 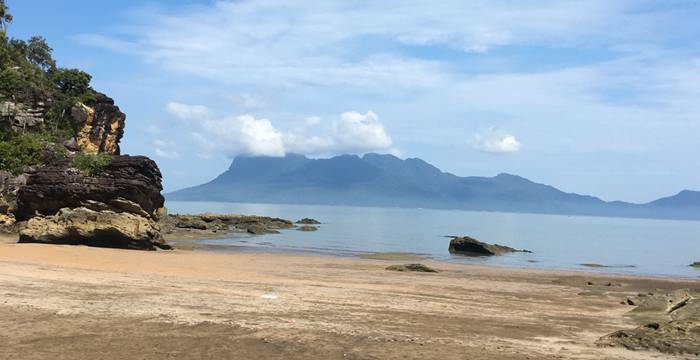 Kuching just doesn’t have the same amount of tourism, marketing and press promotion than Penang has and the best places are slightly harder to find and more spaced out. For flavours, choice and cost, Kuching wins, hands down. For drinking – Carpenter Street and surrounding area is the main spot. Drunk Monkey, Speak Eazy and a few others in Carpenter Street. Then head west to the multi-story car park to find The Granary, Barber, Junk, Zinc and many others on the main road. Near Padungan, check out Monkee Bar, Sanjuro Cafe, Motowners, 5 Foot Way, and my favourite, Ruai Bar, a small little place where locals hang out and the owner is cool. Level Up – There are 2 types of Level Up Gym, Level Up and Level Up 24 Hours. All the gyms are pretty good but memberships are geared towards long term stays. They offer 1 month packages – which are discounted for members of iCube – for around 200 MYR (£35/$45). Includes towel service and locker access. The gyms have all brand new equipment, free weights, TRX, squat racks, decent running machines, even free classes like yoga and spin. 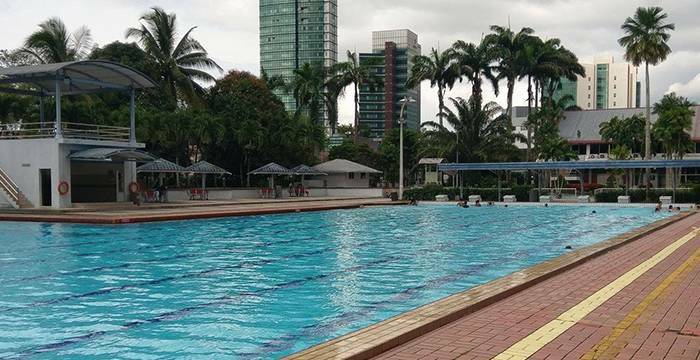 MBKS Swimming Pool – A massive swimming pool near to iCom Square. 4 MYR (£1/$1) per entry, or 1 month for 60 MYR (£10/$15). Open Monday to Friday 1400-2030, or Saturday – Sunday 0930-1200, 1400-1500. MBKS is a massive outdoor swimming pool, a great way to cool off! Running – Considering the mental heat, Sarawakians are crazy for running! There are several running clubs and a great Facebook group. Every few weeks there is a properly organised 5km/10km/longer runs, and all with cheap/free entry. Badminton – There are a few badminton courts around, seems to be very popular. I think this is my favourite section of this whole guide as there are some truly amazing trips to do around Kuching. With acres of lush jungle, big mountains and national parks great for hiking and full of amazing wildlife, and the only place in the world where wild orangutan roam free, Kuching is top banana for stuff to do. 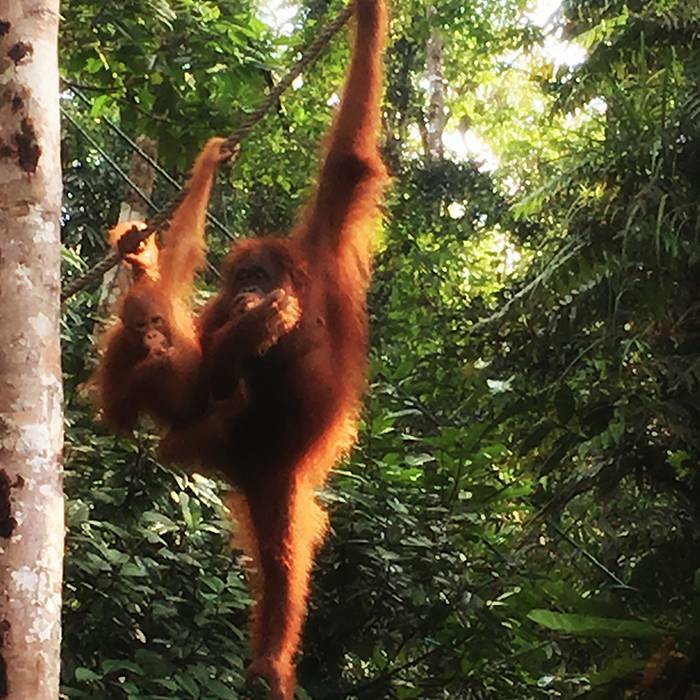 Semenggoh Wildlife Centre – Just 20 minutes out of town, go and see wild orangutan at this wildlife centre. Its super cheap – 10MYR per person (£2/$3) – and only take a couple of hours. Its easy to get a taxi there and back, just make sure you don’t get dropped at the ticket gate before your taxi goes – its another 2-3km past the gate to the action. Sarawak Cultural Village – near Damai beach, go and explore the history of Sarawak, and then chill out at one of the resorts nearby (Damai / Permai Beaches) to watch the sunset. Mount Santubong – This is the biggest of the mountains that looms in the distance on the way to the Cultural Village. It’s serious to hike up it, be prepared. Visitors can explore the Santubong Village for local delicacies. Not far away is the fishing village of Kampung Buntal, which even the locals are attracted to for its seafood cuisines. Permai Rainforest Resort – Permai is a beach resort on the other side of the big mountain (Santubong) that Bako National Park is near. There are hikes, walks, a couple of cool beaches, kayaking, SUP, climbing etc. Worth a look, or stay overnight in a treehouse. Wildlife Wetlands River Tour – A popular tour around the Kuching wetlands – catch this evening/night trip and maybe see river dolphins, crocs and all sorts of wildlife. Best to use an agent for this trip. Sunset River Cruise – A relaxed cruise down the river, with a traditional dancing shows, culminating in (the best?) sunset view in Kuching. You get some free cake, and you can buy beer! Buy tickets in advance at the Waterfront, arrive early to grab the best seats. 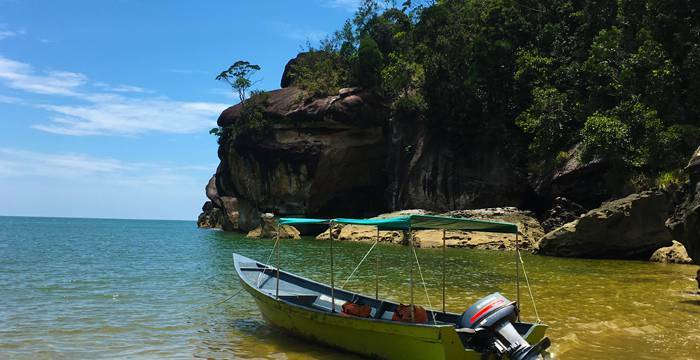 Bako National Park – Get a taxi to Bako Bazzar Pier, buy an entrance ticket and then get a boat to the park. Once there, go for a trek, hunt down wildlife, chill on the beach, climb a mountain, or stay the night. A good chance to see wild proboscis monkeys, wild hogs, snakes, birds and lots more. If you hike across the park to a beach, chances are a boat captain will be there to take you back to the main pier for a small fee via seeing the famous “sea stack” rock formations. Bako really is majestic – and there is hardly anyone there. Forget the massive crowds of Chinese tourists you see on Thai beaches, this is better, cheaper, and you have the place to yourself. There are organised tours, but you can do it yourself easily. 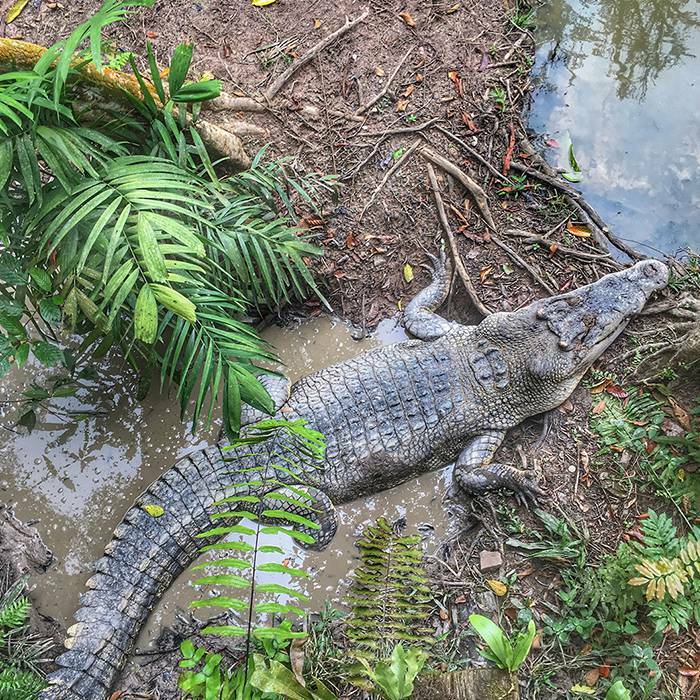 Jongs Crocodile Farm – Crocodiles of all shapes and sizes. I’ve never seen anything like it. There’s some other animals here too, but the crocs are main attraction, and watching them being fed (11am and 3pm daily) is pretty amazing. Entry is 22 MYR per person ($4/£5). A few more things to do… If you like caves, take a trip to the Wind Caves and Fairy Caves, massive underground caverns plus bats. It’s actually possible to cycle to them on a bike tour – check out Paradesa Borneo as they do great stuff. Cycling is generally fun around Kuching if you pick the right roads (PDF Map). Siniawan Night Market is out of town in an old heritage town that sets up food stalls at night. For a cooking class, check out Bumbu Cooking Class – where you go to market, buy stuff, cook it, eat it. Go and see the world’s largest flower, along with some great hiking through the jungle at Gunung Gading National Park. Get down and arty with the hipsters at Haus KCH. Kuching has mall culture – and there’s a ton of them – head to one of them for shopping, coffee, food courts and films – Viva City Megamall, The Spring and CityOne seem to be the best (don’t worry, not gonna include a trip to the hairdressers here). Around Kuching, there are multiple branches of Switch – an authorised reseller and Apple certified repairers. They sell brand new Macs, iWatches, iPhones etc plus MagSafe chargers. For mobiles, smartphones, computer repairs, take a visit to Wisma Saberkas, one of those malls you only ever find in Asia full of people who can hack and fix literally anything. For everything else, try getting it delivered from Lazada or even Ali Express. At Kuching Airport you can buy a Maxis Hotlink SIM card (opposite Arrivals door) and Digi SIM Card (opposite Arrivals and also a small shop to the left and past McDonalds) – both shops there close at 9pm. I found that the Maxis stand didn’t sell me the best deal when I purchased there – you may be better to buy a SIM card for 10 MYR from them, and then buy credit to buy your own plan, remember to add enough credit to cover 6% tax on the plan price. Also they often only have top-up in 10 MYR increments, which means the plan will expire after 10 days. A 30 MYR top up last for 30 days. Most small news agents sell top-up vouchers to add more credit. Some sell small cards you need to scratch off to see the top-up number, others just give you a slip of paper and you enter that in your phone via the Maxis Hotlink app. Avoid the 10 MYR scratch off top-up cards. 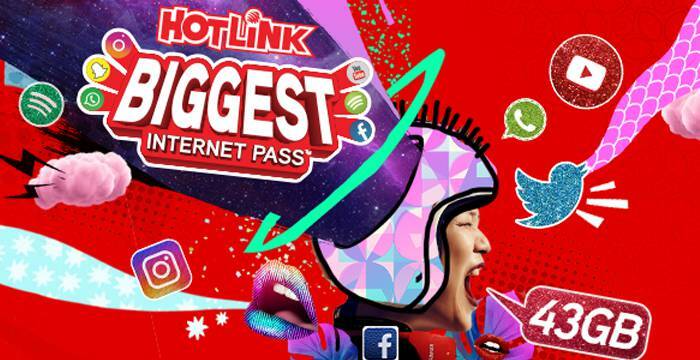 Maxis Hotlink do a few good deals for pre-paid data – I opt for their Biggest Internet Pass which is around 53 MYR (including tax) (£10/$13), and includes 5GB of standard 4G data, plus 1GB extra to use on every Saturday and Sunday in a month (+8GB). They also give you 30 “Happy Hours”, which is 1GB of data to be used in an hour that’s not attached to your plan; so useful if you’re at the gym and wanna catch up on Netflix. If you are a real data-fiend, you can buy additional 1GB “day passes” for 3 MYR (£0.60/$0.70) per time. That would give you around 80Gb of data use through the month – so you could use 1GB+ of 4G data everyday of the month for a total cost of around 110 MYR (£20/$25). Not too bad. Recently Maxis Hotlink have really started improving the internet deals – the app offers you deals when you open it, so I don’t doubt you can use loads of data for a pretty cheap price. There is no public transport in Kuching, so everyone uses cars, scooters or taxis (Grab). This means taxis like Grab are super cheap – getting from the Waterfront to iCom Square or to one of the malls should only be around 6 MYR (£1/$1). Getting to Bako or to see orangutans only costs around 15 MYR (£3/$3). Avoid the red taxis around town, they are a total rip-off and English skills are low. I’ve only found one shop that rents scooters – AH Rent / Hui Motors. The shop is located next door to Ting & Ting Supermarket which is a well-known landmark. A 110cc manual scooter is 25 MYR per day (£5/$6), 150 MYR for 2 weeks, and 300 MYR per month (£55/$70). A 125cc automatic is 40 MYR per day (£8/$10), 200 MYR for 2 weeks, and 400 MYR per month (£75/$95). Cars are definitely the way forward in Kuching due to the ever changing weather but they are costly, and as everyone else is in a car, parking can be tough – I hope you’re good at parallel parking! Kuching Car Rental has a month deal for 1,088 MYR per month (£200/$250) for a small Perodua car, but the reviews on Facebook for its vehicle maintenance aren’t great. This company has a car for 100 MYR per day and this one has cars for 110 MYR per day (£20/$25). Note: Unlike Thailand where people and vehicles are not insured, Malaysia DOES require insurance and road tax etc – so make sure who you rent from has insurance for you and the bike (although you’ll still have to pay for stuff if you break it obviously). Travel Hack: If you are from UK, your driving licence can be used for up to 3 months – no need to have international permit. Also, thanks to the ASEAN agreement, that cheap-arse $3 Thai driving licence you got is completely valid to use in Malaysia. There are lots of self-service 24 hour laundry places where you can wash your stuff if you want to wait about while its washed. Mr Clean – 8 MYR per Kg (£2/$2), or 12 MYR per Kg for Express Service. Free pick up and drop off around Waterfront. Spotfree Laundry – 6 MYR per Kg (£1/$1.50), they also do pickup and drop off at hotels around the Waterfront, although a fee applies. What is the cost of living in Kuching? Here’s some random prices for common items I order when I live in a place. Want me to report on a price of something else? Let me know in the comments. With a large apartment, coworking space, gym, smartphone, eating out lunch and cooking at home in evenings, with a few nights out thrown in, I am spending around 5,000 MYR per month here (£900/$1200) for a very comfortable lifestyle. If you want to go to Bali, why not stop in Kuching before you go and pick up a 60-day tourist visa for Indonesia from the Consulate. It’s dead easy. This will save you so much hassle when you go to Bali, you won’t need to buy a visa at Denpasar Airport, and you won’t need to go to the Bali immigration office 3 or 4 times to extend your visa. You need to apply at the Indonesian Consulate between 9am and midday. I would advise arriving no later than 11am. Go to the counter on arrival to get a line number and the visa form. The visa application form asks for standard info like name and address, and you need to provide 1 x passport photo (small size) – I provided one with white background, no issue. There isn’t a photo machine there. It also asks for information on your “sponsor”/where you are staying, I just put the guesthouse name where I was staying the first few nights, and put tourism as my reason for visiting. After a 45 minute wait, they call you to a back office where they confirm your details, and request to see flight information in and out of Bali. They checked the dates carefully and where my flight was going too. They also asked for a copy of bank statement to prove I had money – but I had read elsewhere that a copy of the front of my credit card (along with my passport on the same page) was enough – and they were happy with this. After 5 minutes they told me I could come back after 4pm the same day, or the next day, to pick up my passport. So just 5 minutes in the immigration office and its done. I picked up my passport the next day – I was in and out in 5 minutes. After 4 visits in 2017 and an extended stay in 2018, I think I can say that I have fallen for Kuching. Friendly-people, amazing nature, great food, three coworking spaces, virtually no mosquitos in the city, a real laid-back vibe, value for money living costs, and something I love – it’s not obsessed with parties and booze; there’s no cheap, low quality beers here, no crazy raves until 7am every night; this is a place to get your head down, do great work and focus on getting stuff done. Kuching is not for everyone – this isn’t a tourist place and some things take much more effort because of this, you will be the only foreigner in a place more often than not, this is not an island paradise like Bali, and the nomad community is really just getting started. But if those things sound good to you, I would definitely recommend you come check out Kuching. Come say hello and hang out with nomads in Kuching! Next Post: The Thai SMART Visa – The best visa for digital nomads, or almost useless?